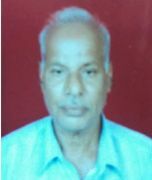 Stany Charles Mascarenhas passed away on Saturday, September 6, 2014. Mortal remains will be brought to Cassia church, Mangalore for public homage on Wednesday, September 10 at 9.00 am and Mass at 10 am. Alexander Martis,passed away on Friday, September 5, 2014. Funeral cortege leaves residence at Malpe at 3:30 pm on Saturday, September 6 for Stella Maris Church, Kalmady. Mass at 4:00 pm. 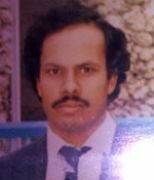 Gerald Dsouza (65), passed away on Wednesday 27 august 2014. funeral cort�ge leaves residence at 2.30 pm on Saturday 30 august 2014 for St. Vincent Pallotti Church in Banaswadi for the funeral mass at 3.00 pm and thereafter for the burial at Kalpalli cementery. Lawrence D�Souza ,passed away on the Tuesday, August 26, 2014. Funeral cortege leaves residence on Thursday, August 28 at 11:00 am for Mass at 11.30 am in Our Lady of Lourdes Church, Orlem. Paul Noronha ,passed away on 24.08.2014.Funeral cortege leaves residence, Rayville Apartments, Upper Bendore Road, to St Sebastian Church, Bendore, Mangalore on 25.08.2014 at 4.30 p.m., followed by Mass at 5.00 p.m.
Jenendra John Furtado,passed away on Friday, August 22, 2014: Funeral cortege leaves residence Furtado villa, Avaral Matti, for St Pius X Church, Palimar on Saturday August 23 at 3.30 pm. Mass at 4 pm. Stany Menezes �Esmi Ruzai�,passed away on Wednesday, August 20, 2014. Mortal remains will be brought to 701, Albuquerque House, Pandeshwar, Mangalore on Saturday, August 23 at 1.00 pm. Funeral cortege leaves residence for Rosario Cathedral church at 3.00 pm. Funeral Mass at 3.30 pm. Celine Agnes Pinto , passed away on Tuesday August 19, 2014. Funeral cortege leaves residence at Bon-Homie, Pandeshwar, Sasthan on Wednesday, August 20 at 4:30 pm for St Antony’s Church, Sasthan followed by funeral Mass at 5:00 pm. Seraphine D’Souza ,passed away on Saturday, August 16, 2014.Funeral cort�ge leaves Kojakke residence, Nakre, at 3.30 pm on Wednesday, August 20, for Immaculate Heart of Mary Church, Nakre. Mass at 4pm. 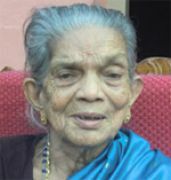 Alice Mascarenhas,passed away on August 14, 2014. 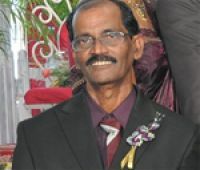 Funeral cortege leaves residence ’Devine Mercy’, Kottara Cross, 3rd Lane on Friday, August 15, 2014 at 3:15 pm for Holy Redeemers Church, Derebail followed by Mass. Rita Cardoza,Funeral cortege leaves from Neckare House, Belman on Thursday, August 14 at 3.30 pm for St Joseph’s Church, Belman. Mass at 4.00 pm.